Is Your Car’s Technology Too Distracting? You are here: Home / Car Accident / Is Your Car’s Technology Too Distracting? Infotainment centers allow vehicle occupants to play music, take calls, get directions, and more. Technology has undoubtedly made our cars safer, with the most crucial areas of improvement being seatbelts, airbags, and frame construction. That being said, advancements in vehicle capabilities also have some downsides. One of them is “infotainment systems”, which can be poorly constructed and too distracting to stay safe on the roads. Infotainment systems are features that newer cars have. They allow the occupants of that vehicle to play music, take calls, get directions, and more. While incredibly useful, this piece of technology can also be too distracting for drivers to stay safe. For this reason, people must use their infotainment systems with caution. The following are some typical signs that your system is too distracting. Lack of Voice Control – The best pieces of software allow drivers to control the entire system with their voice. While doing so takes up a bit of attention, it will enable you to keep your hands on the wheel, which is crucial. Small Text – At certain points, you’ll likely need to look at your screen to check on something. That could be the name of an incoming caller or the next turn you need to take. When you do, you’ll want to have large, easy to read text. If it is small, you might take your eyes off of the road for too long. Frequent Notifications – Anytime you receive a notification, your eyes will naturally wander towards the screen. While a call from your child might be important, advertisements or meaningless system update will not be. Frequent, unnecessary notifications are an indicator of an unsafe system. Lack of Reliability – One thing that will definitely take your attention off of the road is a malfunctioning infotainment system. Driving at high speeds is not the time for software-related problem solving. The good news is you can make yourself safer by making a few basic adjustments. They are as follows. Use Voice Capabilities – Try to keep your eyes on the road and hands on the wheel at all times. Advanced voice capabilities can let you do that. Not Use It While Driving – If you decide that your system is too distracting, consider not using it at all when your vehicle is in motion. 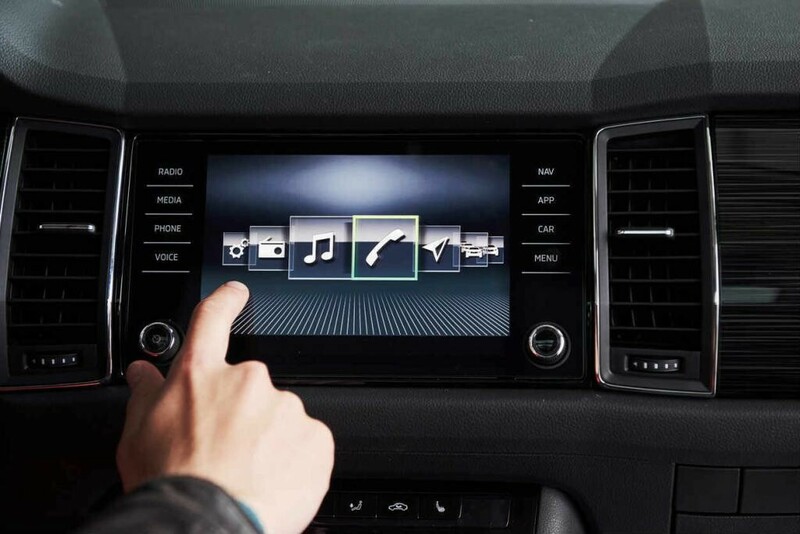 Get a Third Party System – Different companies make infotainment systems that are safer and easier to use. You might want to explore getting one installed in your vehicle. Ultimately, you likely do not have to give up your infotainment system for good. Instead, you can improve it and adjust your habits to stay safe. Doing so should keep you from getting in collisions due to distraction. Of course, you can be disciplined in your approach to driving and still be involved in a collision with another driver who was negligent. If so, it is important to speak with an experienced car accident lawyer to ensure your legal rights are protected. Give us a call 24/7 at (314) 361-4242.